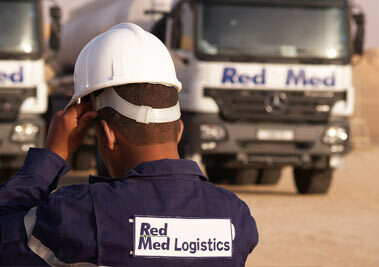 RedMed Group, which operates in more than 80% of southern Algeria, provides local services through its subsidiaries and mobile structures. Our Group has developed logistical activities to provide services in the southernmost parts of Algeria and contributes to the development of remote regions where our partners operate among the world's leading oil companies. The logistics chain controls and ensures the movement of fleets, supply, inventory management, and distribution via a computerized network and heavy-duty rolling machines. 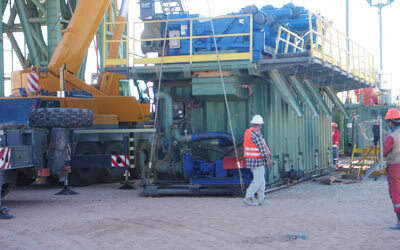 Drilling rigs, heavy-duty mobile cranes, mobile camps, gas turbines, specific equipment related to petroleum activities and convoys of sensitive loads. 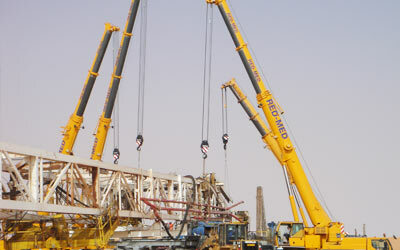 The Group has developed a logistics platform in the Adrar base. This platform includes several segments, such as the site for the reception and distribution of consignments. The storage facility covers an area of several hectares entirely dedicated to pipeline storage and all types of building materials. In terms of logistics transport, the Group is equipped with a modern lifting and handling fleet, which consists of vehicles and heavy machinery capable of facing all contingencies. Besides, our logistics tools reduce potential failure timeframes. The fleet includes: cranes, lift trucks, mobile telescoping cranes that can deal with heavy-duty material ranging from 40 to 100 tons. The Group has forklift trucks of German technology, able to lift between 3 and 12 tonnes in all areas. This standardized equipment operates according to safely rules thanks to latest generation accessories that enable the movement and relocation of equipment. The sites are illuminated and secure in strict compliance with industry standards. 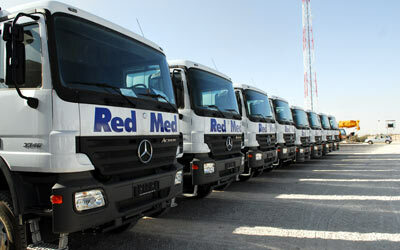 In logistics, RedMed Group offer modular services.